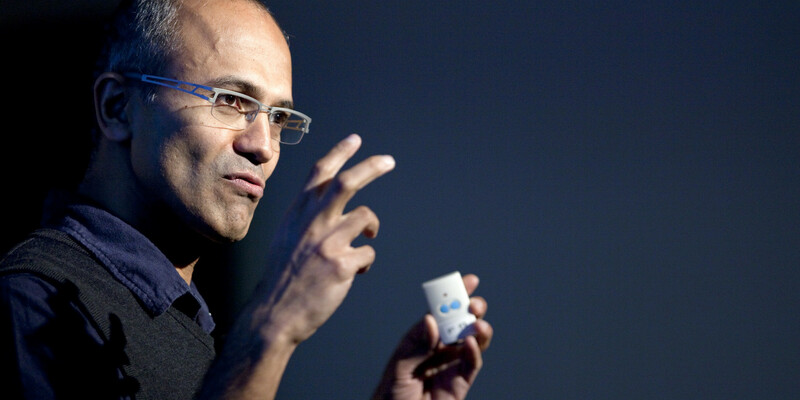 In a recent conference discussing the future of Microsoft held in London, Microsoft CEO, Satya Nadella said that the world is nothing but “One Giant Computer”. It is not the first time he has mentioned the era of AI and cloud as the world transforming into or being in the midst of what he likes to describe as the “Intelligent Cloud” and an “Intelligent edge”. While anticipating the future of Microsoft and technology per se he spoke about the distribution of computing fabric that has given rise to computing power, which simply means that you are surrounded by AI and Cloud drove technology constantly. And Microsoft has been trying to embed AI in everything from Windows, HoloLens to Office to further determine improved decisions. Changes made to Azure, for instance, are a great example of their AI-Cloud amalgamation. Harnessing this compute power would mean taking it to areas with wider data utility. Say, for example, department stores or factories everything uses umpteen amounts of data. And in the future with Azure going to be the heart of their different products every micro-controller be it as everyday things as a fridge or a grill or bigger data using center such as oil factories- which would use millions and millions of sensors- means more computing power. Take a quick glance around you, see the abundance of technology-driven appliances that surround you? The toaster, the oven, washing machine etc. everything you would see in an average house- to connect it all via the cloud is what Microsoft plans to do. When talking of the threat that technology, therefore, holds of surpassing human capability, Nadella responded saying, “Technology does not just develop. It develops because of the design choices we make as humans. And if those choices were to be made consciously, keeping in mind our basic principles and ethics, the future that all of us want can be ensured”. And although ever since he became CEO he has been steering Microsoft to strengthen AI, Cloud and Internet of Things he has been clear that regardless of the ambitions of the company, ethics and principles will not be outflanked. As for the cons of AI, Language, as understood by AI systems, has limitations. The infinite data that it learns from is human biased so, the need, therefore, is to make tools that can unbias the existing data.